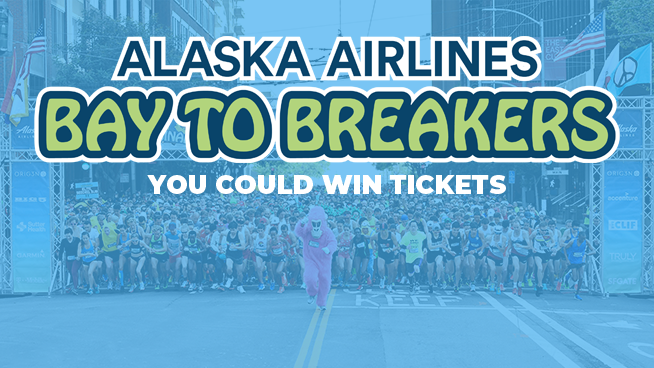 Enter to win four (4) passes for the 2019 Alaska Airlines Bay to Breakers on Sunday May 19th! The countdown is on for one of the largest footraces in the world with 40,000 + participants and 100,000 + spectators annually. In the true spirit of San Francisco the race is a celebration for everyone. Thousands of costumed participants join with families, weekend runners, and walkers. As they make their way through the heart of San Francisco, energized by continuous bursts of live music, they are cheered on by thousands of spectators lining the route. Furnished by Bay to Breakers. One (1) entry per person. Contest ends 5/5/19 @ 11:59pm. Seven (7) winners will be awarded. Prize valued at $320.00. ﻿Your browser does not support iframes. Please visit http://kgoradio.listenernetwork.com/Contest/1NTDRC.